The Japan Poker Union will hold WPT Japan 2018 in cooperation with World Poker Tour (WPT). “The Japan Poker Union and World Poker Tour’s “WPT Japan 2018” and “WPT Korea” will be the first Japan/Korea cooperative event. Top players will receive player contracts from World Poker Tour(WPT). 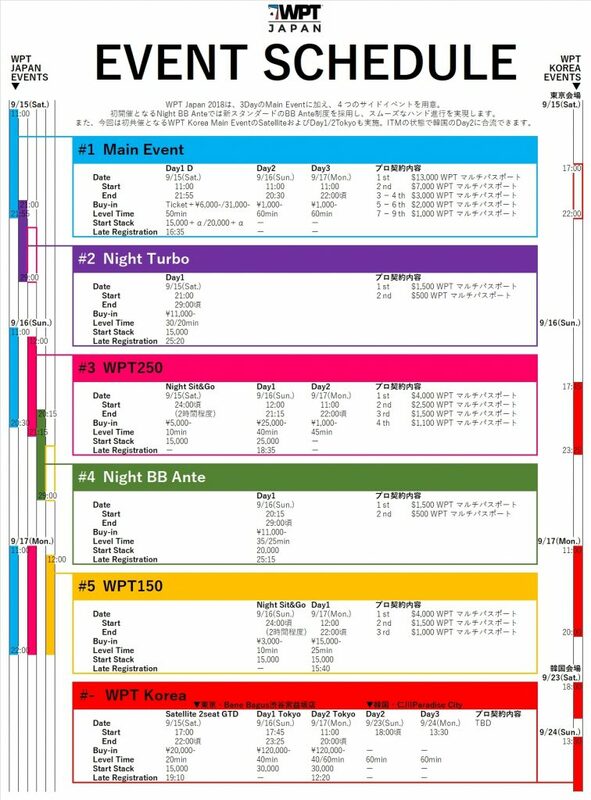 ※What is the WPT Multi-Passport? A passport which allows you to freely select and participate in WPT Korea (Sep 21-24) and WPT Season 18 events. this passport can also be used for hotel and air reservation. Please note that any remaining balances can not be refunded. Upgrade options and more are flexible. 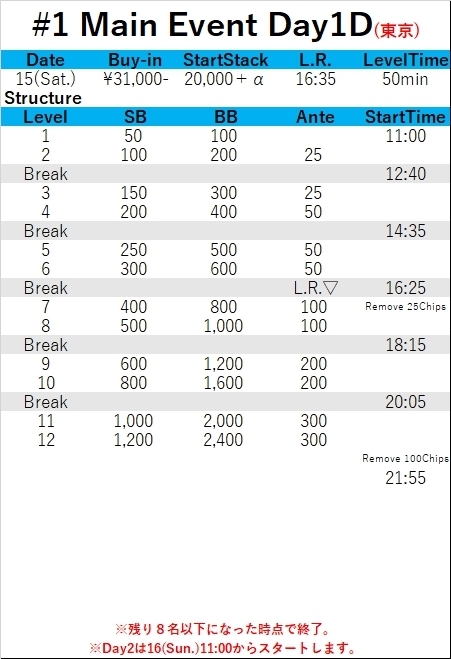 For more information on usage, please send your full name to wptj@pokerjapan.jp. When 4 players remain, Day 1 will conclude. 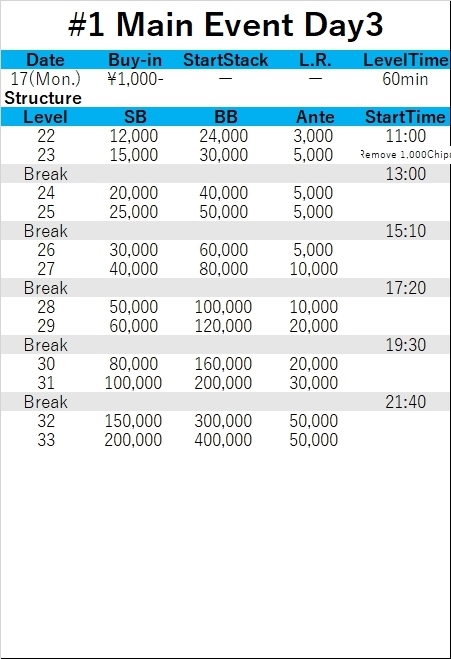 In the case 6 or more players remain at the end of the last round of Day1, the play will continue without blinds and antes changing until only 5 players remain. If the outcome is not determined within 1 hour, the match will conclude. Players who remains in the Day1 of the Osaka/Nagoya area events will receive payment for transportation to Tokyo. In addition, players who remains in the Day1 of the Osaka/Nagoya area events will be granted 30,000JPY for round-trip transportation to the Tokyo Venue. When 8 players remain or at the end of the round, Day1 will conclude. Entry is open until the end of the second level of Day 2. Re-entry is limited to once per day. When the number of players reaches 11% of the total number of entrants, the Tokyo Venue will close and the winning players will continue playing with their stacks from the “In The Money” round at Incheon, South Korea. It is possible to receive up to an equivalent of 50,000JPY for transportation costs. Top winners will be posted on the official WPT homepage. Those who advanced to the final selection of Day 2 and the top winners of side events agree to the disclosure of their full names.